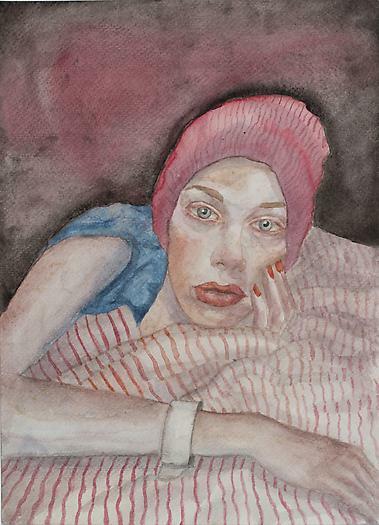 New York City (August 2013) Andrea Rosen Gallery 2 is proud to host Melissa Carroll's powerful and revealing watercolor series Recurrence, a group of paintings created during the artist's ongoing cancer treatment. 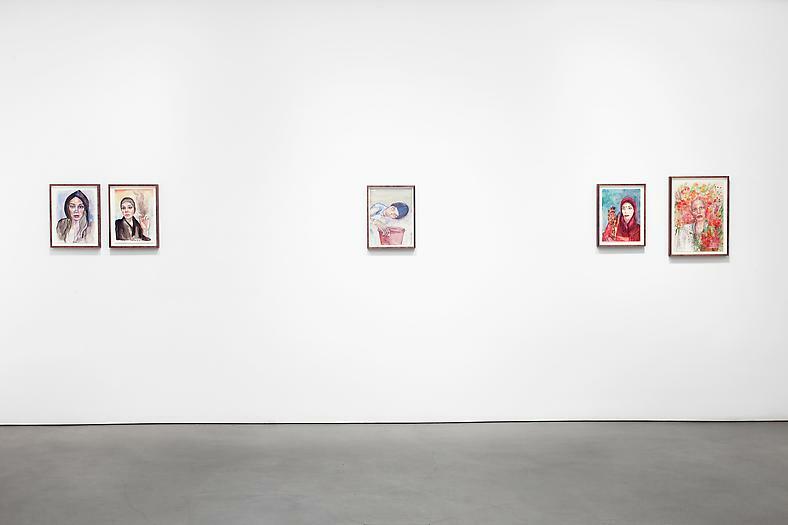 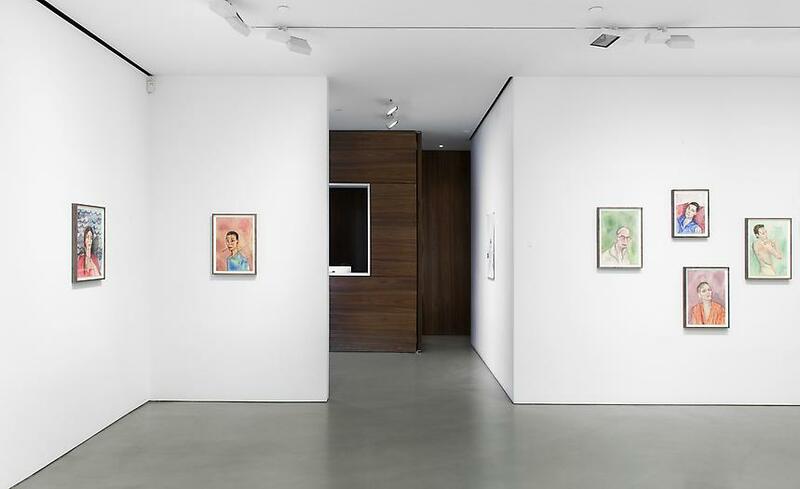 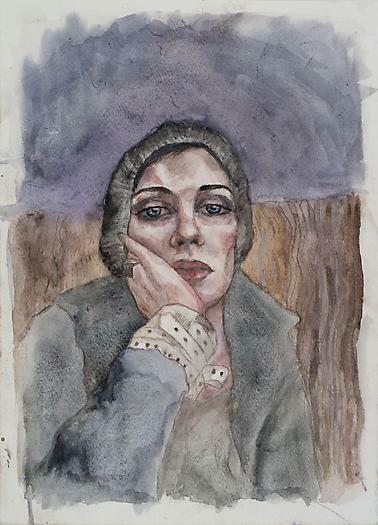 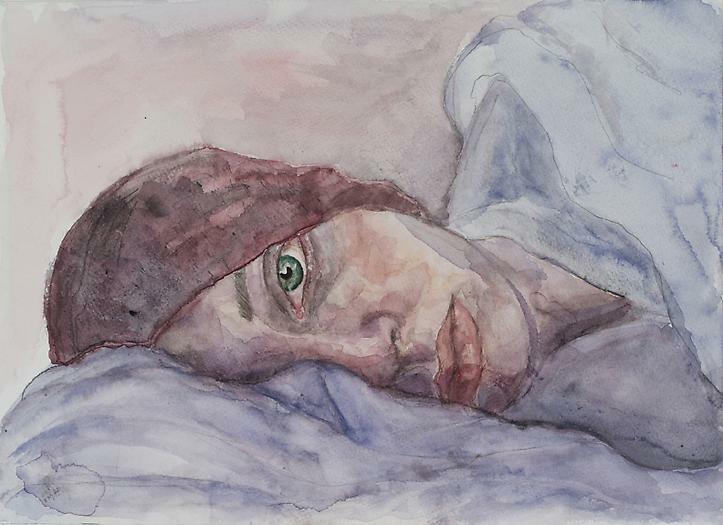 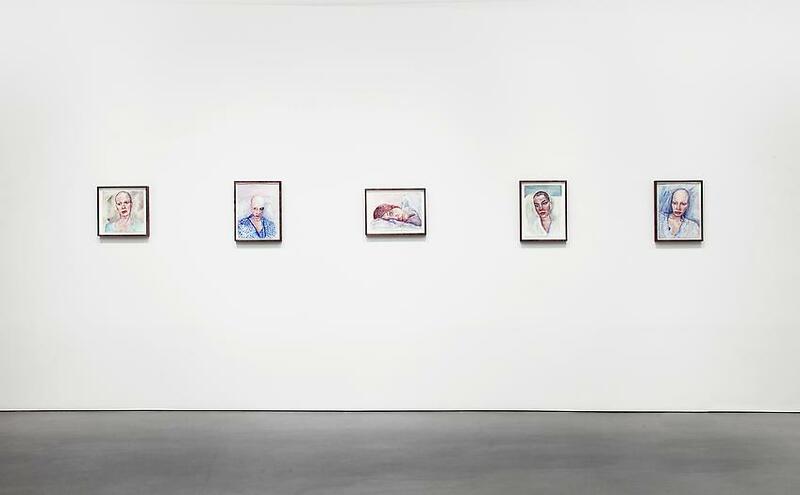 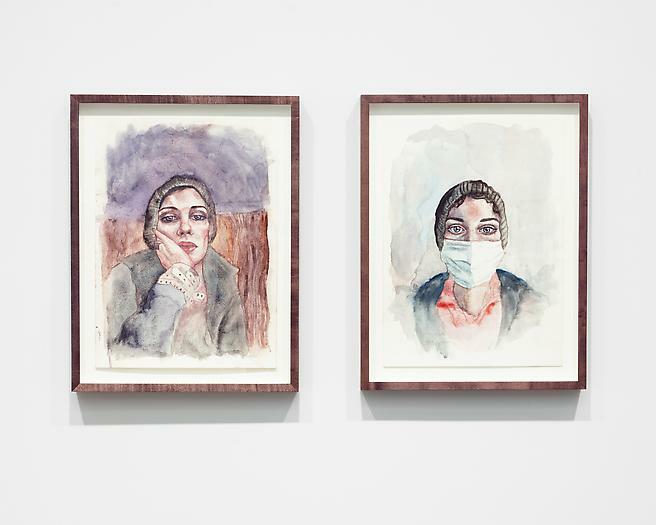 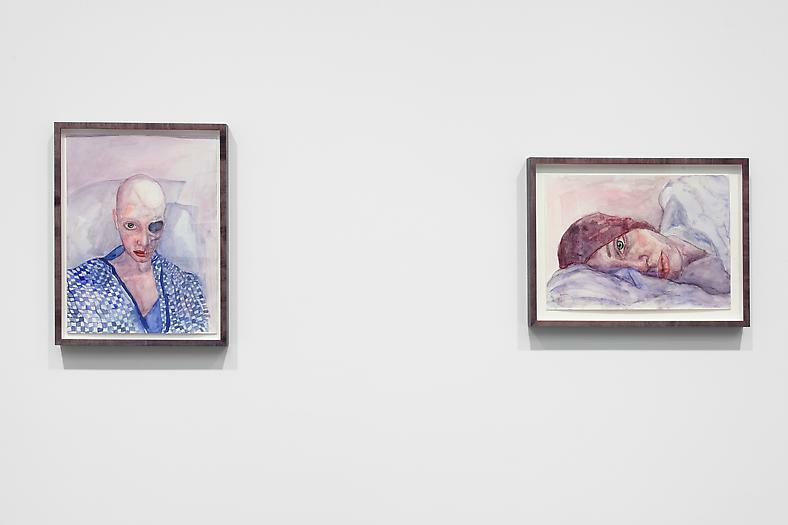 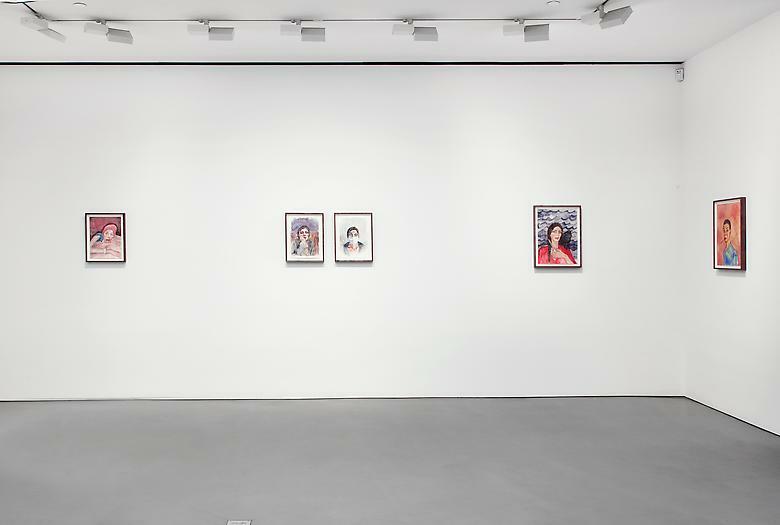 The exhibition features 15 self-portraits that capture Carroll in various physical and emotional states throughout her illness. 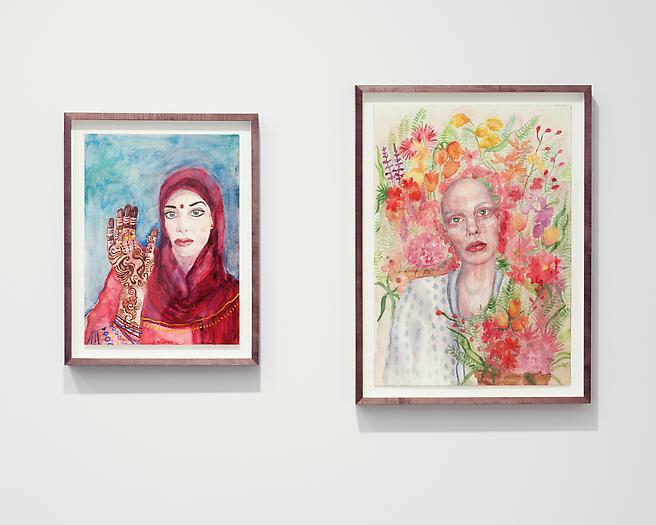 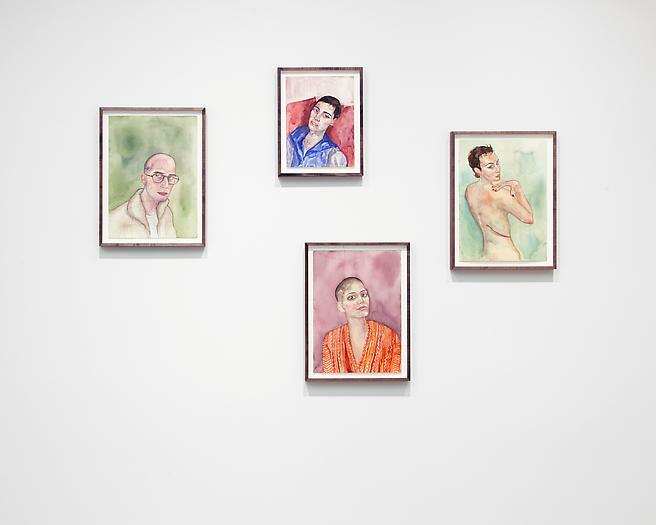 Also on display are three intimate portraits of fellow cancer patients with whom the artist formed a close bond during chemotherapy. 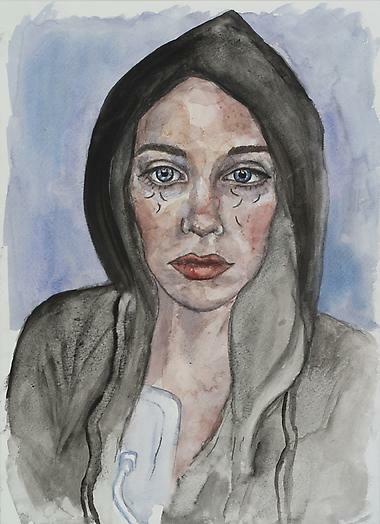 Born in Ireland and raised in New Hampshire, Melissa Carroll moved to New York after obtaining her BFA at Massachusetts College of Art in 2007. 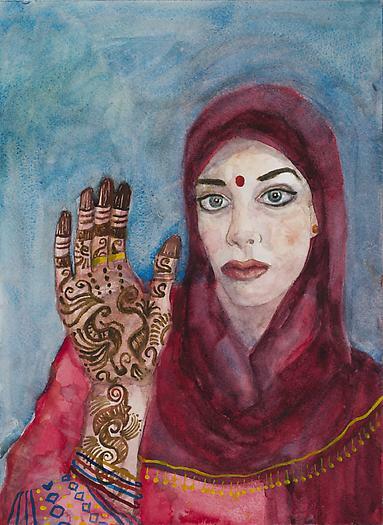 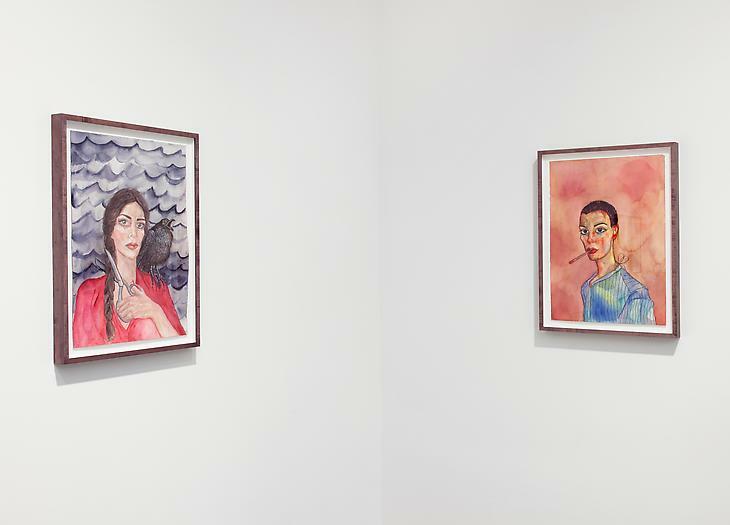 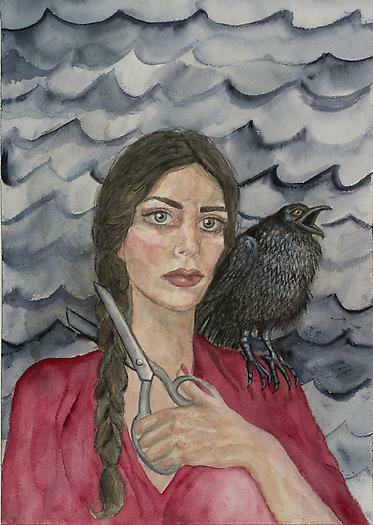 From 2008 to2011 she worked as a painting assistant to Francesco Clemente. 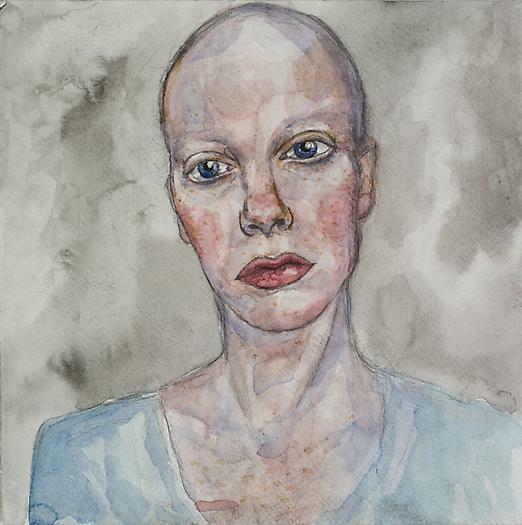 In 2011, at the age of 28, she was diagnosed with Ewing¹s sarcoma, a rare type of bone cancer. 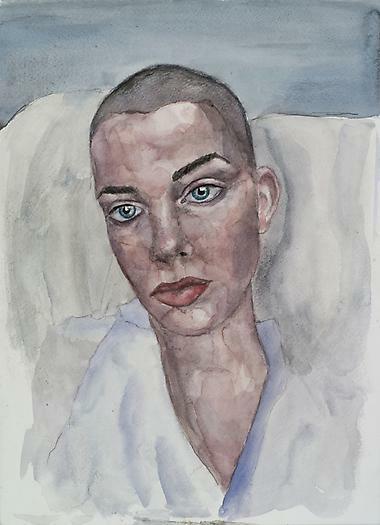 In January of this year, six weeks after completing a year of chemotherapy, radiation and multiple surgeries, she suffered a relapse. 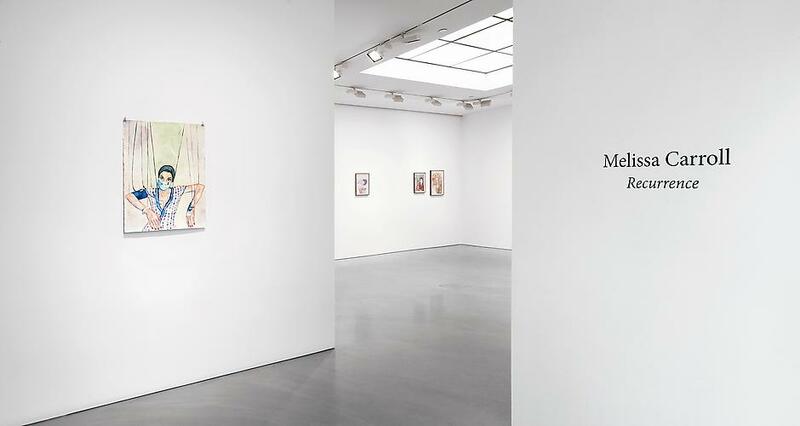 Melissa is currently receiving treatment at the Memorial Sloan-Kettering Cancer Center in New York. 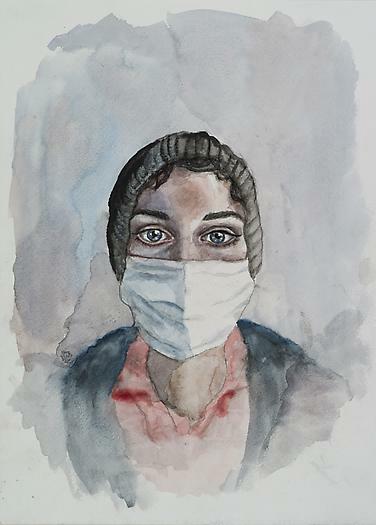 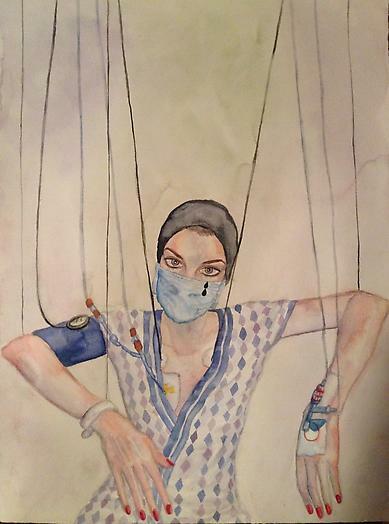 She works from the hospital and from her home in Brooklyn. 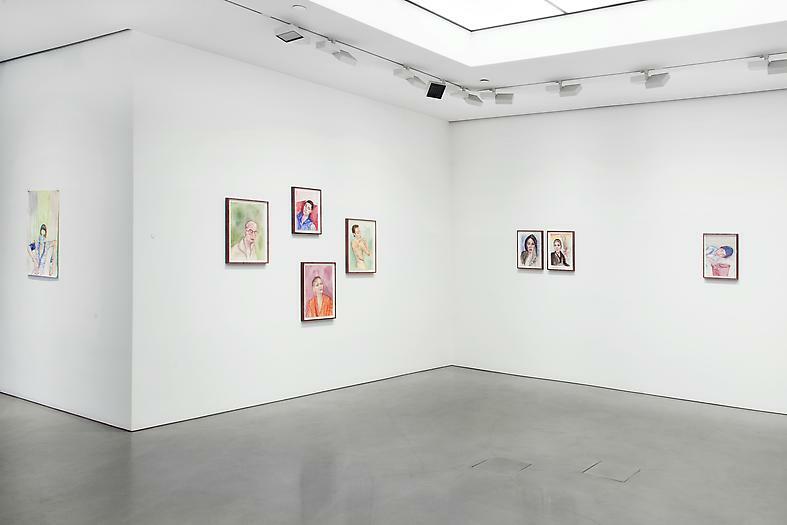 The exhibition is presented by Ricardo Kugelmas.